Could digital payments help restore clients’ trust in a company that’s lost it? It’s been a terrible twelve months for Facebook. Accusations of interference in electoral processes, evidence of widespread abuses of user privacy and ever-increasing scrutiny from politicians and regulators seem to have caused irreparable damage to the company’s image and prospects. But the unlikely area of digital payments may offer an opportunity for Facebook to move on from its annus horribilis. Payments could allow the company to move away from its reliance on exploitative, data-driven advertising—and even to re-establish its reputation. Facebook, according to a recent New York Times report, has a team of more than 50 software engineers working in conditions of secrecy on a new payment ‘coin’. The coin—a virtual form of money likely to be linked to Facebook users’ bank accounts—could, in theory, allow the 2bn-plus users of the firm’s networks to pay each other seamlessly and cheaply. The exact details of the coin remain under wraps. But the payment facility seems likely to operate across the three major social media services owned by the company: Facebook Messenger, WhatsApp and Instagram. Although it didn’t mention payments when doing so, Facebook said in January that it was going to merge the infrastructure behind these three messaging apps. The firm has already trialled digital payments in India. Any one of the more than 200m Indian WhatsApp users can transfer money seamlessly and instantly from their bank account to the account of any other WhatsApp user in the country. To pay someone requires just a couple of swipes on a mobile phone using WhatsApp. The system relies on the Indian government’s digital payments infrastructure (called United Payments Interface or UPI). Earlier this month the firm’s CEO, Mark Zuckerberg, gave a clearer indication of his plans for the messaging apps he owns. “I believe the future of communication will increasingly shift to private, encrypted services where people can be confident what they say to each other stays secure,” Zuckerberg said. “I think Facebook coin is huge and has amazing potential if it’s done correctly,” Dave Birch, a technologist and payments expert, told New Money Review. China offers perhaps the best example of why Zuckerberg is thinking this way. The mobile technology available to the country’s 1.4 billion inhabitants has leapfrogged that of the West. WeChat, for example, is a Chinese multi-purpose messaging, social media and mobile payment app developed by Tencent, with over 1 billion monthly active users. In addition to the offering the familar uses of messenger apps—exchanging texts, photos and videos and communicating in groups—WeChat provides a range of additional functions: for example, taxis, food, shopping, dating and payments. 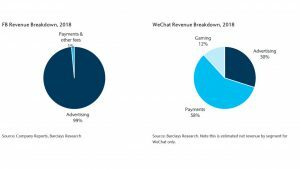 According to a research note published by Ross Sandler, internet analyst from Barclays, WeChat derived over half its 2018 revenue from payments, compared to less than 1 percent for Facebook, whose business model is almost entirely dependent on advertising. It’s unlikely that Facebook could ever grow its payment revenues to an equivalent share of its business as WeChat has managed, though, says Sandler. That’s because WeChat has benefited from a different financial infrastructure to that in Western countries, he says. In particular, WeChat has managed to avoid a lot of the infrastructure traditionally associated in Western markets with electronic payments, such as payment cards, payment networks, payment terminal and merchant accounts. Instead, the Chinese firm has jumped straight to superior technology, such as payment using QR codes. And WeChat—together with its competitor app Alipay—has also gained from financial regulations that are relatively lax by Western standards. For example, Alipay, says Barclays’ Sandler, has been able to gather huge volumes of client funds by skirting the fixed loan and deposit rate spreads offered by bank competitors. Alipay’s parent company, Ant Financial, runs the Yu’e Bao money market fund, which, with $160bn under management, is now the largest in the world. Ant Financial is also the second largest lender in China. Nevertheless, says Sandler, payments could add as much as $19bn to Facebook’s revenues by 2021 if the new Facebook coin proves successful. How would Facebook do it? A key design choice facing Facebook, is whether its new payments coin is public—anonymised and open to anyone—or privately run, with Facebook keeping track of the identities and transaction histories of all Facebook coin users. While a public coin—along the lines of bitcoin or ethereum—might seem to offer the greatest benefits in terms of the future global scaling of the payments network, it might run into opposition from regulators already alarmed by the spread of cryptocurrencies and the resulting potential for tax evasion and money laundering. However, a private Facebook coin, with the company recording all transactions on a proprietary network, could present another security vulnerability for Facebook. 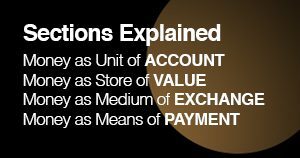 A private coin would also differ little from a traditional payments network. Plus, there’s the small issue of handing over your financial history to a company with extensive knowledge about your behaviour and past form for exploiting it. Opinions differ on the likely outcome. “I think they may try to launch the new Facebook coin on top of the public ethereum network. It’s almost an industry standard if you want to issue a new coin,” Gabriel Wang, an analyst at Aite Group, a consultancy, told New Money Review. 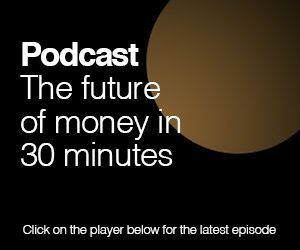 Dave Birch believes Facebook may make use of the existing payments regulations and build a private network. “I think the blockchain part of it is a bit of a red herring,” Birch told New Money Review. “Facebook can take advantage of the new regulations in Europe,” said Birch. “The firm already has a Payment Institution licence, meaning they have direct access to people’s bank accounts,” said Birch. This mirrors the way payments work across the WhatsApp messenger app in India. “Or, under current EU law they could hold pre-paid accounts without doing extensive know-your-customer compliance work as long as they are only holding €250,” said Birch. In a blog, Birch imagined how Facebook coin might work. “Wallets that have passed a know-your-customer (KYC) check (let’s put to one side what exactly this might entail) could store up to say 10,000 Facebook coins (or ‘Zuckbucks’), while wallets without KYC would be limited to say $ZUC 150,” Birch wrote. If payments are doubly important for Facebook, it’s because helping users pass payments across the social network could have both direct and indirect benefits: generating a new type of business, and fundamentally redrawing the relationship between the platform and its participants. “A payment is a transfer of trust between two parties,” says Shachar Bialick, CEO at Curve, a fintech firm using mobile technology to aggregate payment cards. “In the new world, payments are about networks—who’s facilitating the transfers,” says Bialick. Thinking on a global scale about money and the monetary infastructure might seem a diversion for Facebook. But perhaps running social media platforms was just a warm-up for the company. “In 20 years we might look at Facebook’s work from 2004-2019 as the preamble to their real business model: becoming the largest non-state currency issuer on earth,” Nic Carter, partner of Castle Island, a venture capital firm, wrote in a tweet. Could Facebook’s new payments venture turn out to be Mark Zuckerberg’s boldest move of all?